Oppo has officially launched a new smartphone named the Oppo A83. The smartphone features a metal body and has two color options which include Champagne Gold and Black. Before the launch of Oppo A83, the company has launched 2 devices named the Oppo A75 and A75s. The Oppo A83 runs on Android v7.1 (Nougat) OS and is powered by a 2.5GHz Cortex-A53 Octa Core processor. It comes with 4GB of RAM and 32GB of inbuilt storage, expandable up to 128GB with a microSD slot to store a wide range of files. There is no fingerprint sensor but has Face Recognition that unlocks the phone with the use of faces in just 0.18 seconds. The smartphone is equipped with Dual SIM and 4G LTE. 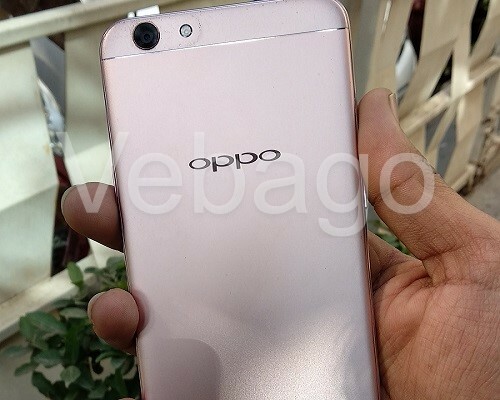 The Oppo A83 measures a 150.5×73.1×7.7mm. The device packs a super cool design that packs a 5.7-inch full view 18:9 IPS display with a resolution of 720 by 1440 pixels. The device comes with an 8MP selfie camera that captures perfect photos and can be used for video calls. While on the back, it comes with a 13MP rear Camera with LED Flash. The Oppo A83 smartphone is powered by a 3090mAh battery as a source of electricity.